After expanding its hospital footprint with the McKesson acquisition this past summer, Allscripts now broadens its ambulatory presence by scooping up the cloud-based EHR vendor. Allscripts continues to be in acquisition mode, further building out its client base in the ambulatory space by buying Practice Fusion for $100 million in cash. The deal is expected to close in the first quarter of 2018, officials said. The addition of San Francisco-based Practice Fusion, whose cloud-based electronic health record is aimed primarily at small, independent physician practices, will give Allscripts a larger footprint in outpatient settings. It's the second move in less than six months – following the acquisition of McKesson's health IT business in August 2017 – designed to expand the Chicago vendor's nationwide market share. Some 30,000 ambulatory sites, serving about 5 million patient each month, currently use Practice Fusion EHR, practice management, e-prescribing, lab and patient portal technology. Allscripts also sees the company – which was founded as a startup a dozen years ago and grew as a free, web-based EHR to help small doc practices earn meaningful use incentives – as a way to expand its access to clinical data that can help it innovate in an array of areas: analytics and interoperability, life sciences and clinical trials. 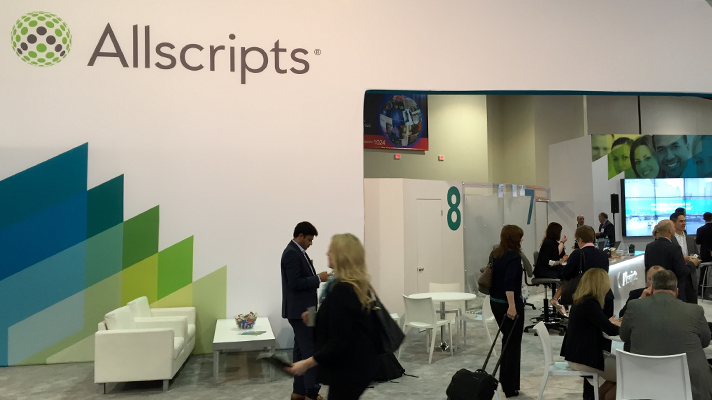 "Combined with Practice Fusion, we expect Allscripts to continue to drive innovation in addressing gaps-in-care, improving clinical outcomes and real-world-evidence research," said Allscripts President Rick Poulton in a statement. "Plus, Practice Fusion’s affordable EHR technology supports traditionally hard-to-reach independent physician practices, and its cloud-based infrastructure aligns with Allscripts forward vision for solution delivery." Poulton said existing Practice Fusion clients would benefit from the deal, given new access to Allscripts technology. "Allscripts' highest priority remains to successfully meet healthcare providers’ highly complex needs as we enable them to lead the change to smarter care," he said.